The second edition of “The Antique Kitchen Range Bible II” has been several years in the making. The information contained in this book has taken years to research and accumulate as the topic is extremely limited. However, if you own and operate one of these stoves the book will be informative and a must for first time buyers. 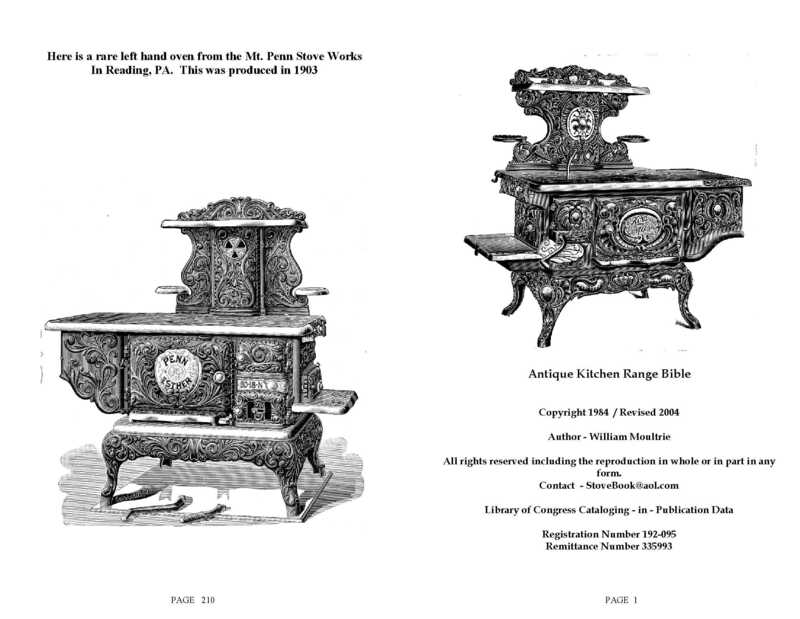 “The Antique Kitchen Range Bible II” provides information and details on stoves manufactured from the late 1800’s to the early 1900’s. It focuses on the general stove owner including outlining the restoration process. You will also find this to be a guide on cleaning techniques, maintenance, and explanation of the various facets of your stove. Additional photo galleries and recipes have been added, as well.